Self muscle testing gives you amazing flexibility because you don't need a partner to do muscle testing. In my experience, with practice and objectivity, it can also be quite reliable. There are many variations of this technique. This is because the idea of applying force to one part of the body while resisting with another part can be done in many different ways. For example, the degree of motion and/or flexibility in a body part and the resistance to the full motion/flexibility can also be used as a muscle test indicator rather than just using strength. Here I will describe two methods that I use and mention a few others. Try them all to find one or two that work for you. You can even make up your own if you understand the general ideas behind muscle testing. In short, the general idea is that we are testing muscle strength and muscle weakness, or the freedom of movement in the body, in the presence or absence of a stimulus. The stimulus can be anything: a substance that you hold close to you, an idea, an emotion, an image, a specific question with a clear "yes" or "no" answer, etc. See History of Kinesiology for information on how self muscle testing has evolved in application and form. In trying any of these self muscle testing exercises you agree to take full responsibility for your body. Be gentle with the exercises and don't use injured or stiff body parts. 1. Finger over finger: in this self muscle testing technique you place your middle finger over your index finger. You may switch the fingers if that is more comfortable for you. The finger on the top will be doing the pushing down and the finger on the bottom will be resisting the push. Being able to bring the bottom finger down indicates a "weak" muscle signal correlates to a "no". 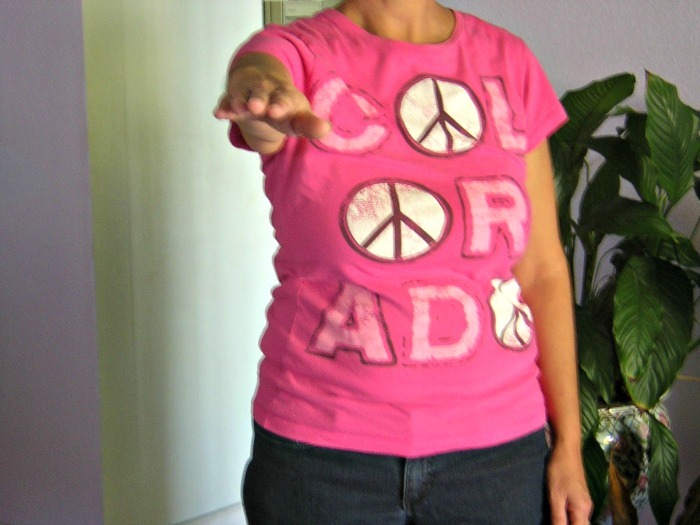 Resisting the push of the top finger indicates a "strong" muscle signal and indicates a "yes" (see below for more information on the "yes" and "no"). This is similar to someone pushing down on your arm, except you get to do both the pushing and resisting. I recommend you use something you already know makes your muscle go weak to practice with. Try putting pressure with and without that stimulus. Get a feel for the difference in the strength of your bottom finger when you introduce, and take away the item/stimulus you are practicing with. Feel when and how the bottom finger goes weak. Your mind needs to be able to focus and tune in to the physical sensation associated with the change in energy of the weak muscle signal. This requires that your mind be in a state where you can give full attention to what you are doing and not be distracted with other thoughts or feelings (mindfulness). If the bottom finger does not go weak, you may need to train it to go weak. Consciously allow the bottom finger to unlock so it can bend when the stimulus is introduced. This is just temporary. Once your mind gets the feel for the weakness, it will do it automatically. Try practicing with the words "yes" or "no". One should go weak and the other strong. Feel the difference in your bottom finger when you say each word as you press down with your top finger. With practice, the top finger will not need to exert much force to make the bottom finger go down and you won't need to focus on how the fingers feel, it will be obvious when the bottom finger goes down. 2. Ring or "O" finger technique: in this self muscle testing technique you touch the tips of the pinky and thumb of one hand making an "O" shape. 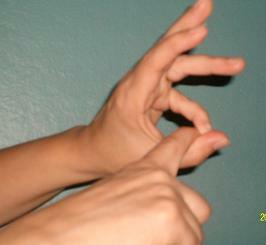 Using the index finger of the other hand, insert it into the "O" and try to pull it apart where the pinky and thumb meet. At the same time, resist the pull with the pinky and thumb that are making the "O". 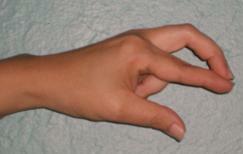 If the index finger opens the "O", that is a weak signal or a "no". If the "O" stays closed, that is a strong signal or "yes". The disadvantage of this self muscle test is that you will not have a free hand in which to hold a stimulus. 1. 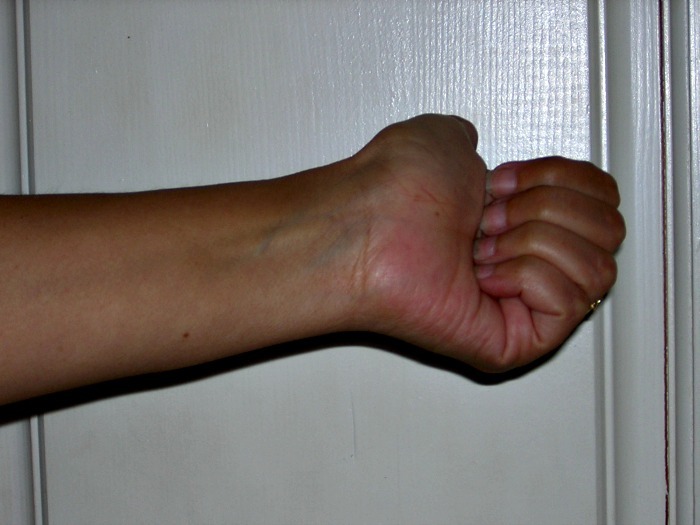 Wrist Rotation: in this self muscle test you extend one arm out in front of you gently curling the fingers in your hand, except for the thumb which points down. You then rotate your fist at your wrist clockwise, bringing your thumb up and past the vertical position as far as possible without strain. Do this rotation at the wrist and not with your upper arm. Rotate the wrist slowly at first so you can gauge how far the thumb can move. Notice how far the thumb goes back past the vertical position without forcing it. Now repeat the motion again, but this time bring the thumb up only to where it is vertical or close to vertical. If you need help keeping your upper arm straight. Practice by holding the outstretched arm at the elbow with your other hand. 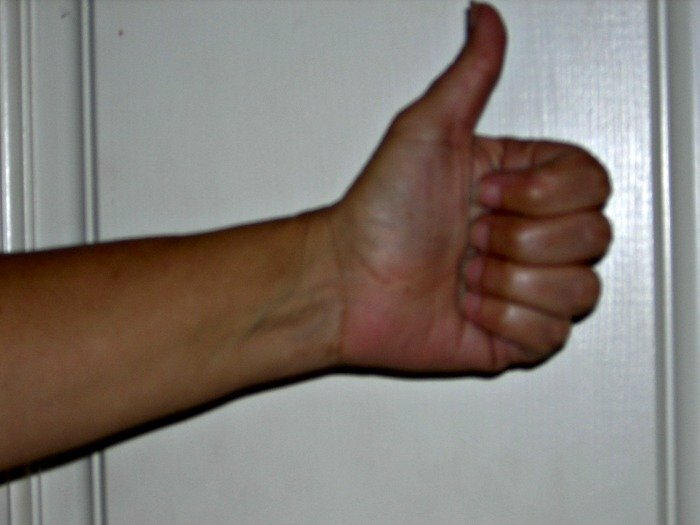 The thumb up position would be the point of resistance/strength or "yes". The "no" position of weakness would allow the thumb to go further, past the thumb up vertical position. Practice this movement with a "yes" or "no" to gauge the difference in movement and feel. The weak position or "no" will have full motion or flexibility in the wrist. It will be easy to notice by looking at the position of the thumb. 2. 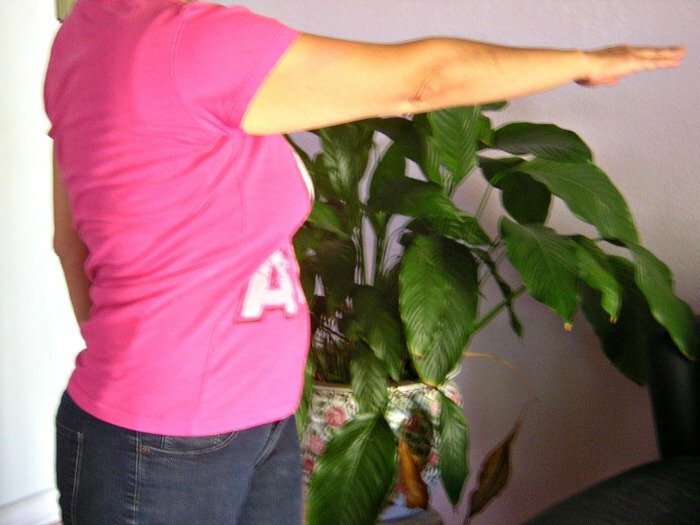 Waist Rotation (This technique is not recommended for people with weak backs or back problems): this self muscle testing involves rotating your waist while your arm is extended in front of you at waist level. Arm and fingers are outstretched but not stiff. 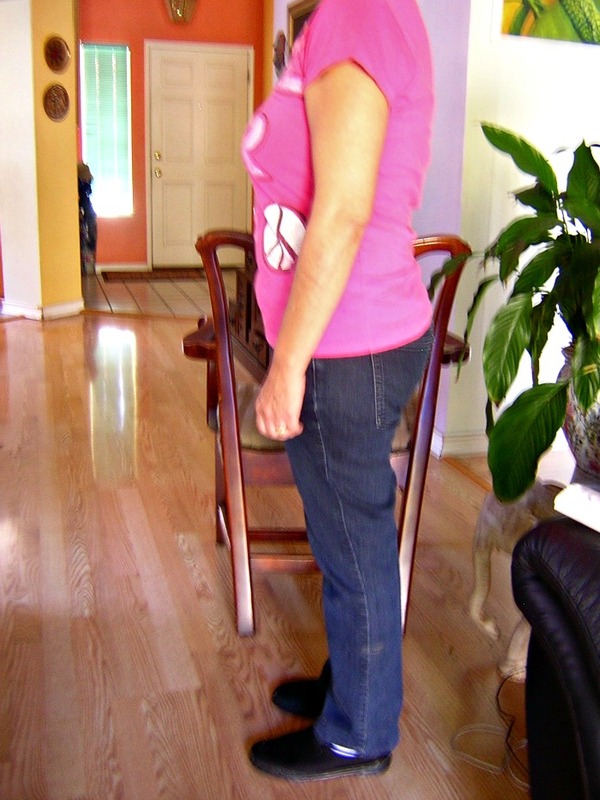 Steady your legs and move the arm across your body, from one side to the opposite side, rotating at the waist only. 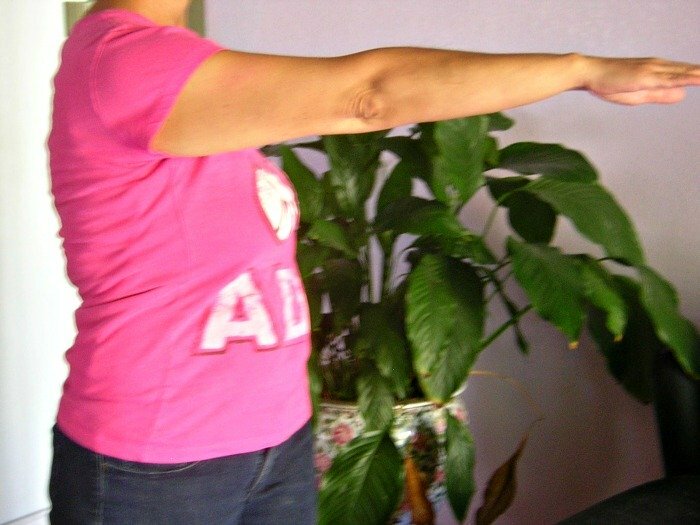 Do it slow so you can notice how far your arm can go across your body. The "no" and weak signal is where your waist is able to rotate furthest across your body because the waist does not resist. The "yes" or strong position stops sooner would indicate resistance to the rotation. Practice holding an item you already know gets a weak signal response (something you may be allergic to). Notice where your waist stops rotating by noticing where your arm stops. Then place the item away from you, preferably where you can't see it. Repeat the test without it. Try to feel how much more flexible your waist is and notice how much further your arm swings. This is the "yes" or strong signal. If you don't have and item to self muscle test, just say and listen to the meaning of the word "yes" and swing the arm. Notice where it stops; then do the same with the word "no". Practice several times until you can feel and see the difference. 4. Eyes Closed (standing up): try this self muscle testing technique if the others have not worked for you. It is explained in more detail in Muscle Testing. Stand near something you can hold on to in case you loose your balance. Stand with your eyes closed and feel your balance. Try it again with your eyes closed while holding something near your chest. Feel for the attraction or repulsion that the object has on your body. Much like a magnet on another magnet. This pull or push you feel can also serve as an indicator or a type of self muscle test. Being pulled forward can mean one thing and being pushed back can mean the other. Try saying or thinking "yes" (focus on the meaning as you say it) and feel which direction your body moves, backwards or forward. Then try it with "no". Work with someone to muscle test you to find some items that you go weak on and others you go strong on. 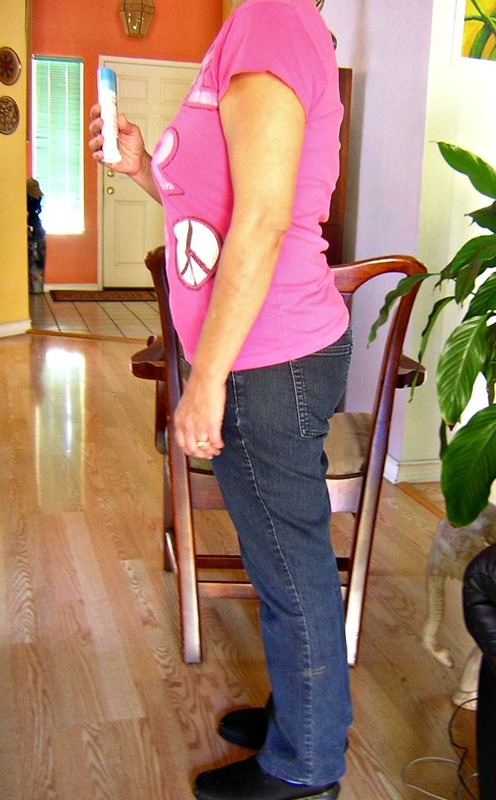 Then hold each item so you can correlate the weak signal and strong signal to your body moving forward or backward. A couple of important things: 1. In some healing systems, the weak muscle is read as a "yes" and the strong response as a "no". This is OK because the body conforms to the convention of the mind. The body is an instrument for communication and as long as the definition of what is what (default settings) is clear in your mind, the answers you get will be consistent. 2. Also remember this is not about forcing a particular result just because you are partial to getting a certain response. If you can't be objective in accepting whatever response you get, this will interfere with accuracy and voids the point of doing the testing in the first place. Don't be intent on overpowering the resistance given by the muscle because you want the "weak" or "no" response. For beginners learning muscle testing, accuracy is higher when you hold a physical item close to you while doing the self muscle test. In this case, it is very clear to your mind what you are testing, and the result will either be strong or weak. Try the same test 2 or 3 times to check that you are reading the muscle strength and weakness accurately. The more consistent the body's response and your reading of it, the more sure you can be that the results are accurate. You can also get inconsistent results with self muscle testing when you are tired, under the influence of a toxin, stressed or unable to be present and focused in the moment. If your results are inconsistent, try drinking water; if this doesn't help, stop and try it again when you are more clear headed and energetic. Again accuracy is very dependent on "getting yourself out of the way". This means doing the self muscle testing without attachment to the outcome and desiring only the truth. This can be the greatest block to accuracy once the technique is mastered. If you are vested in getting one answer and would be disappointed if you got the other, you are not being objective and you are not desiring only the truth. The test can give you information that you don't have at the conscious level, but keep an open mind, we can fool ourselves and block from awareness unwanted information. We don't really want to do this since the whole point of using muscle testing is to gain information that has been previously hidden from our conscious awareness. In my mind, self-muscle testing helps me gain unconscious information about how my thinking is perceiving the particular problem I'm working with. Being specific is also important for accuracy. If you are self muscle testing something that is not physically available to touch, like an emotion, food you ate yesterday, dust mites, etc., you need to clearly focus on the item in your mind and then do the test. If you are remembering your plate of food from yesterday and you get a weak signal, you don't know which item of food on your plate is giving you that signal. If there are associated emotions connected to the picture of that plate of food in your mind, very possibly the signal is coming from them. You will need to test each item of food individually and any feelings associated with the food that you are seeing in your mind's eye. The same goes for ingredients in packaged food. If you get a weak signal, read the label and test each ingredient. Also, notice if there are any emotional associations to the item or ingredient. Once you feel confident testing individual items, you can begin playing with "yes" or "no" questions. Here, it is more work to assure accuracy because the questions need to be clear and specific, so that the question can only be interpreted one way and given only one response of "yes" or "no". For example in exploring our belief system we can ask, "Do I believe family is safe? ", I can get a "no" because there is one member that I feel threatened by. However if I ask, "Do I believe my sister Suzie is safe?" I can get a "yes". This is a better question to assure accuracy. Of course it is possible you have developed generalized beliefs around family and have come to distrust everyone in the family. In this case you will get an accurate "yes" to the first question. You can see that there are many angles to how our thinking is put together and the more you can tune in to the specific meaning the question has for you, the more accurate the response will be. Again, it is very important to be clear in your mind what you mean by what you are asking. Your self-muscle testing response can only be as clear as the clarity of the question. So ask the same question many different ways (from different angles) to get a consistent and accurate response. Also, if you ask, "Should I call Suzie?" and get a "yes", but you really don't want to call her. You may believe you should call because of the social etiquet/norms that you believe you are supposse to follow. Much of our thinking is filled with should's and shouldn'ts and can lend to much internal conflict with our desires and will. Asking "yes" or "no" questions is an advanced self-muscle testing technique, but feel free to play with it. Try asking the questions in different ways so you can see how the response changes. If you are a beginner at muscle testing, don't be too sure of your accuracy with "yes" or "no" questions until you get consistency by asking the same question in different ways. Some people want to use self muscle testing to tell them what to do, or to predict the future. From my perspective, self-muscle testing is accessing your personally learned and accepted subconscious information. This is what Gary Craig, EFT founder, calls "the writing on our walls". This writing is made up of thoughts, beliefs and values we acquired from parents, school, culture, religion, experiences, etc. In my experience, our subconscious information is often very biased and not necessarily higher truth. I would not think of using it as an Oracle or fortune teller. I don't recommend that you use it that way. Self-muscle testing is a good way to find out what hidden beliefs and perceptions we are holding that may conflict with what we consciously want to believe and attract into our life. This subconscious information needs to be acknowledged so we can then use EFT or the Ramos Clearing Technique (RCT) to let it go and bring about the alignment of our beliefs with our true will and highest good. Self muscle test yourself and ask, "Do I believe I only deserve good things? or "Do I believe I am completely lovable?" If you get an unexpected "no", ask again. If you are getting consistent responses, then take the unexpected information as just information stored in your subconscious mind and don't judge the information. Our "I am beliefs" play a major role in what shows up in our experience. It is a valuable find for this reason since you are now in a position to question if that idea really true. From a spiritual perspective anything that contradicts the idea that we are divinely whole, loving and perfect as we were created (from A Course in Miracle) is false, because it is a denial of spiritual Truth which is absolute and cannot be changed. Our subconscious mind holds many beliefs that no longer serve us and that often contradict our true unlimited nature. The first step in changing those beliefs is finding them with self muscle testing. The next step is where EFT (Emotional Freedom Techniques) can help, bringing about correction in our mind. See How Does EFT Work. For those of you with a spiritual practice and who are committed to their journey of self-insight and self-healing, I recommend taking my new Course on the Ramos Clearing Technique which uses self muscle testing to speed you along. It is important to believe and feel only what we want to attract into our experience! 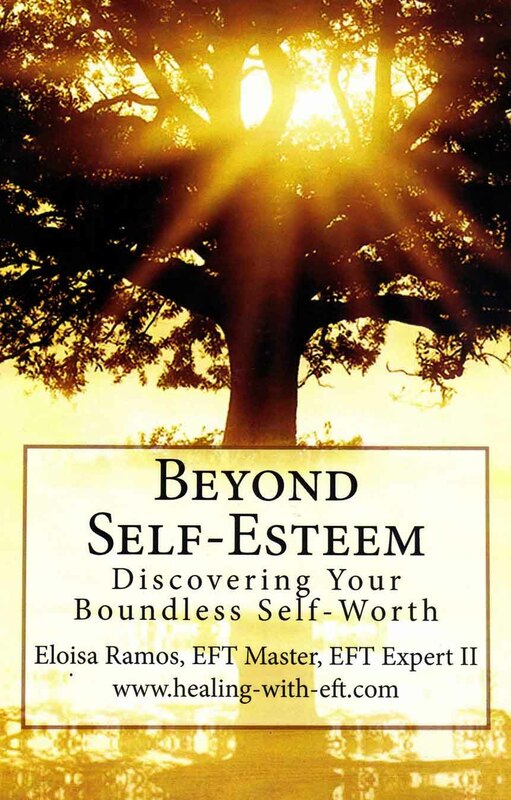 If we are attracting experiences we don't want, then we are holding beliefs and feelings that do not serve us in truth, and it is time to find them with self muscle testing for revision or release with EFT or the free download of the older version of the Ramos Clearing Technique dated May, 2015. Muscle testing has helped me reconnect with what I feel (identify the feeling with its name). It also gives me access to feelings that I may try to hide or conflicting feelings that work unconsciously in a manner that feels like self sabotage. Try to stay objective when you are self-muscle testing by not judging the responses you get or yourself for holding those beliefs . We are looking for limiting beliefs and negative feelings so we can let them go and live the full life of peace and joy that we are! Does it matter whether the left or right hand is used? Very interesting, your contributions on self muscle testing ! Just a small question: if I understand correctly, there's a big difference, whether one does the finger crossing with the right hand (conscious) or the left (subconscious). If I'm testing an item of food for example, do I hold it in the right hand and do the finger crossing with the left ? Or visa versa ? Thanks in advance for your response ! Thank you for your question. Perhaps some techniques differentiate between the right and left hand, but I do not. It is the mind's intention that sets up the way the technique works. 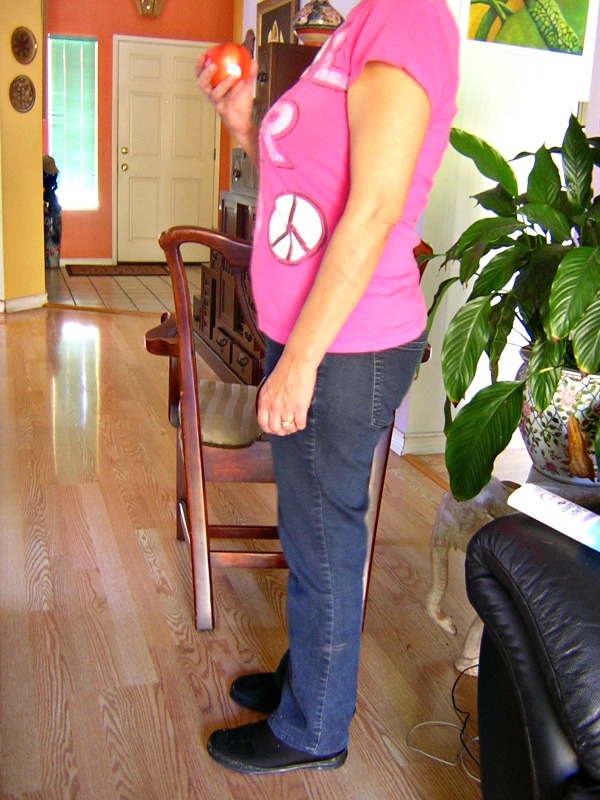 The technique "Body Talk" for example, takes a weak arm muscle to mean a "yes" rather than a "no". As long as the mind is clear on the association and definitions, the body just follows the instructions. In my experience, any muscle can be used to test for strength or weakness. Often, it is good to be able to use both right and left, since too much repetitive motion can make the muscle soar on just one side. So, it does not matter which hand you use to test with or hold food with. I have never seen that be an issue with muscle testing. I am curious about the kind of questions that can be asked, and answered using this technique. How are the questions to be worded? For example, can I ask if I will be working with a certain person, or if that person will be coming back to work with me at a certain location? You can ask any question but keep in mind that the self muscle testing is accessing your subconscious thinking. You are not asking an all knowing source that can tell you the future, you are asking yourself what is in your subconscious thinking. So, if you ask "Will I be working with a certain person?" which is about the future, you are asking whether you subconsciously think or believe this will happen. Can thinking predict or know the future? Not as long as our thinking is conceptually based and relies on past learning which it is not directly connecting to unlimited Divine knowledge. The best we can do is base our belief on an estimate of probability that it will happen. Intuition would be a better channel for accessing unlimited Divine knowledge. However, we may be able to guess the future with out thinking, but the answer will not be certain. So, the issue we need to keep in mind with questions we ask through muscle testing is: accuracy. That is why I don't recommend people use muscle testing like a crystal ball that tells them what to do or what will happen. The answers are just telling you what you think, judge and belief. Thinking is subjective and conditioned by our past learning and experiences. However, muscle testing is an incredible tool for helping us to manifest the experiences we really want. So, if you wanted to have this person show up again in your work environment, you could use questions like, "Am I deserving of having this person show up again?" If you get "no" you have some clearing to do, so that your mind is left open for that possibility to manifest. I use muscle testing for finding old non-serving beliefs and thinking that is interfering with my living a meaningful, healthy and fulfilling life. I release those beliefs with EFT or the Ramos Clearing Technique which uses muscle testing. I hope this helped.